After the launch of the verification process to identify fake pensioners in Tripura, around 500 pension holders of the State have voluntarily surrendered their cards to avoid any legal action later. 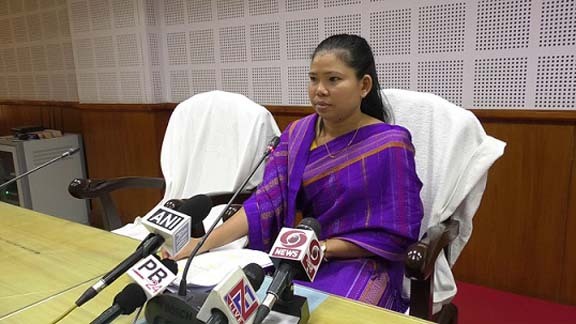 Tripura Social Welfare and Social Education minister Santana Chakma said this while addressing a press conference at the State Secretariat here on Thursday. Chakma said 80 per cent of verification work of the social pensioners in the state has been completed and the remaining shall be completed by the next 15 days. Minister Chakma said this while replying to the allegation levelled by the opposition that the “BJP-IPFT government has closed down all social pensions in the state which were started by the previous Left Front”. According to Chakma, all total 403975 persons were covered under the social pensions under 33 schemes which is supposed to be updated annually but it did not happen under the earlier Left government. “So, the new government has taken the initiative to update it for weeding out the fake pensioners as well as add those who deserve pension,” said Chakma. Chakma alleged that many of the beneficiaries under the social pension schemes were chosen on the basis of their political identity by the previous government aiming ‘vote bank’ politics and hence the verification is necessary. She added that the new state government with the help of the Union government launched several new social schemes aiming to bring down malnutrition among children and mothers of the state. In the meantime, under the National Nutrition Mission (NNM) 16,238 have been covered under the Poshan Abhiyaan (Prime Minister’s Overarching Scheme for Holistic Nutrition) in the state. Recently, some 66000 fake ration cards covering 2.8 lakh persons were found after the new government went for verification and AADHAR linkage of cards.